The latest ad in the ‘Objects’ series promotes Churchill’s new Vandalism Cover. 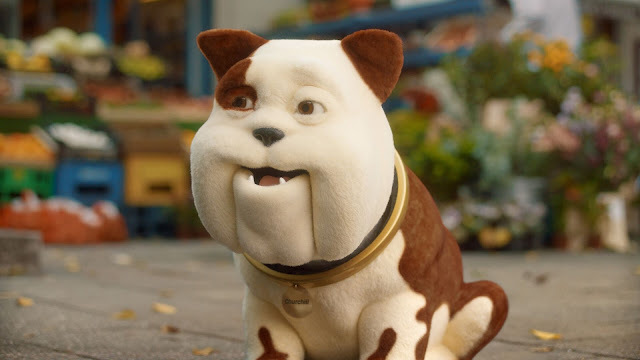 Churchill has launched its new TV advert ‘Shameful Tattoo’, promoting its new Motor Insurance offer – Churchill’s Vandalism Cover, where its customers no claim discount is protected if they claim after their car is vandalised*. Created by WCRS and directed by Joseph Mann, the ad is the latest in Churchill’s ‘Objects’ series and features Churchie comforting a talking car (voiced by Josh Widdicombe) who has been marked with suggestive ‘Bootylicious’ graffiti whilst asleep. Designed to appeal to a broad TV audience, the ad is a cheeky and playful take on one of the most frequently occurring and expensive to repair instances of vandalism, and features the track ‘Shake Your Booty’ by KC & The Sunshine Band. The 30” TV spot is first due to air Monday morning on ITV4 and will run throughout the day in shows such as Emmerdale and Coronation Street on ITV. A 20" of the ad will run from March. The campaign was also worked on by animation specialists Blinkink and the media spots were secured by MediaCom. *Churchill’s vandalism cover comes as standard on comprehensive policies and now preserves customers’ no claim discount. And they won't just repair the damage; if you go to one of Churchill’s recommended garages, they'll clean the car inside and out too.